Mumbai: Petrol price hikes have hit sales of not just new cars but used cars as well. People who run franchised dealerships of Maruti True Value and Mahindra First Choice Wheels, India’s largest used car networks, say their inventory of petrol models has doubled as demand dropped in the past six months. New car sales fell by 1.36% to 909,283 units in the six months to September, having contracted 16% in July for the first time in three years. To be sure, this cannot be attributed entirely to fuel costs; inflation, high finance costs, and a slowing economy have all played a part. Meanwhile, demand for used cars, largely ones that run on diesel, is on the rise. Sunil Kanjani, 37, a Mumbai-based retailer of readymade garments, bought a petrol version of Hyundai Motor India Ltd’s i20 a year ago. He is considering selling it to buy one that runs on diesel because it is becoming expensive to drive a car that runs on petrol. “In the last one year, the demand for used cars has grown around 1.5 times the (demand for) new ones. This means there is demand but affordability is an issue," says Kumar Kandaswamy, senior director overseeing the manufacturing industry practice at audit firm Deloitte Touché Tohmatsu India Pvt. Ltd. The organized used cars market is as big as the one for new cars, says Shubhabrata Saha, chief executive at Mahindra First Choice Wheels Ltd, a firm that buys and sells used cars. Nor has the growth in sales of used cars slowed as much as that of new cars, says Saha. Sales of new cars expanded 27% in the first half of last financial year (April to September 2010) , according to industry lobby, the Society of Indian Automobile Manufacturers (Siam); the used cars market grew by 25%. However, in the first half of this financial year, even as sales of new cars declined, that of used cars expanded 18%-19%. For the year ending March 2012, new car sales are expected to expand merely by 2% to 4%, according to Siam’s revised sales estimates, but pre-owned car sales are expected to expand 15% to 2.2-2.3 million. 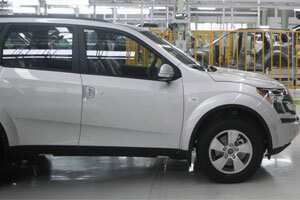 Saha says Mahindra First Choice, which sold 28,000 cars last year, is targeting sales of 40,000 units in fiscal 2012. Maruti True Value, which buys (all brands of) and sells (only Maruti) used cars, sold 128,000 cars between April and October, an increase of 10% over the same period last year. “Should the government decide to hike petrol prices further, used car retailers will have to stop buying petrol models," says Sandeesh Dugad, director at Fortpoint Automotive Pvt. Ltd, a Maruti dealership in Mumbai. According to Dugad, even petrol models of cars that were recently launched, such as Toyota Etios and Liva, Volkswagen Polo and Vento and Ford Figo, have found their way into the second-hand market. Rajeev Gupta, a resident of Alwar in Rajasthan who runs a small foundry , wants to sell his petrol cars—a Honda City sedan and Maruti Zen—and buy diesel versions. “My monthly fuel bill, which is running up to Rs15,000 , is pinching us hard," says Gupta. He decided to sell his petrol cars after the latest hike in the fuel price. “The demand for petrol models has simply collapsed," adds Nikunj Sanghi, a Alwar-based Mahindra and Mahindra Ltd dealer who is also a franchisee of the company’s pre-owned cars business. A sales executive at another Delhi-based franchisee of the firm, who asked not to be identified, says the inventory of petrol models has increased by a fifth. “The inventory holding period for petrol models has gone up from 10-15 days to 40 days," says Ajay Saxena, an executive at a Maruti True Value outlet in Delhi. This slow-moving stock includes entry level models that were always in demand a few months ago. Dealers attribute the rise in inventory levels partly to hefty discounts being offered on new car models by makers to shore up sales. The average discount being offered by carmakers is 16% to 18% on new models according to a Chennai-based True Value dealer, who asked not to be identified. Meanwhile, the sudden increase in demand for diesel cars has led to supply constraints, leading to an increase in their prices by 8%-10%. “The expectations of those selling diesel cars is running high. There is a gap of at least Rs50,000 between what sellers want and what the buyer is willing to pay," says Sanghi. The preference for diesel cars extends even to people who recently bought expensive petrol cars, say the dealers. Fortpoint’s Dugad mentions that he has been receiving calls from two customers (one bought an Audi in December; the other owns a Mercedes) exploring opportunities to sell their cars and replace them with ones that run on diesel. “More than anything else, the price differential between both the fuels has become a psychological issue," says Dugad.